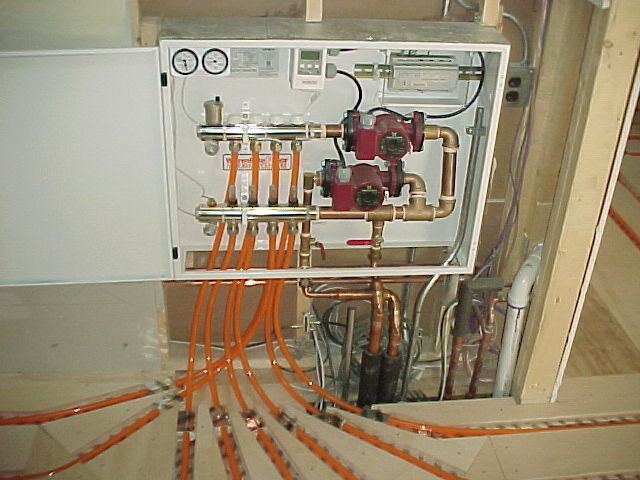 More pictures of the radiant tubing installation with details including floor sensors, protective channels, aluminum conduction roll and injection manifold/pump station. 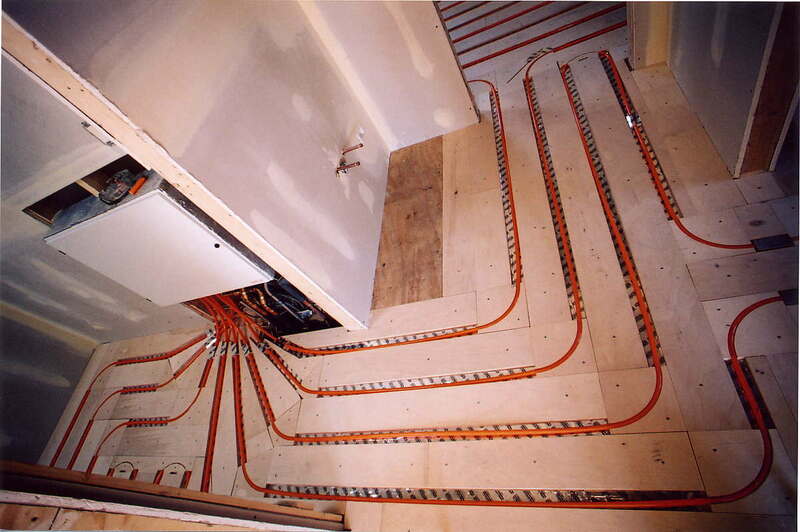 The fifth picture shows a custom access panel in the air conditioning floor register for the floor sensor. 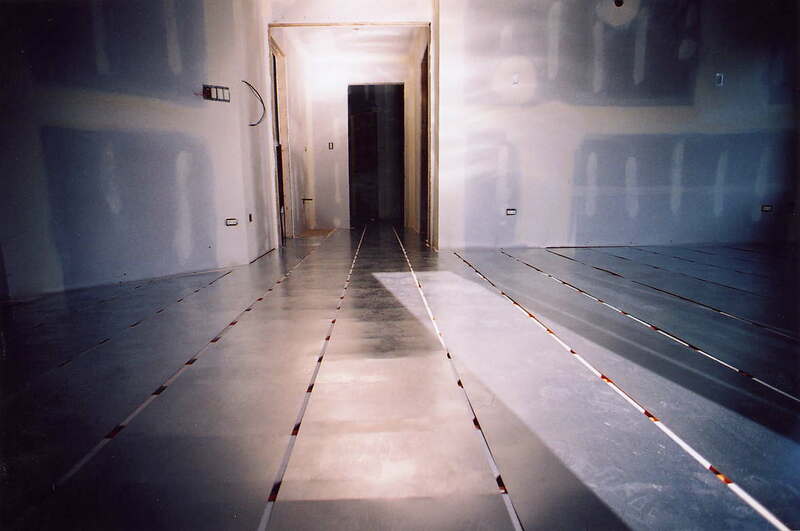 C-channels protect the tubing in areas where screws or nails are needed for flooring or thresholds. The aluminum conduction roll evenly distibutes the heat and prevents striping. The injection station maintains the proper water temperature based on outside temperature and distributes it to individual zones as needed based on room and floor temperatures. The variable speed injection system - along with outdoor sensor, zone thermostats & floor sensors - maintains extremely accurate temperatures and even allows for controlled night setback - not recommended for most radiant installations.